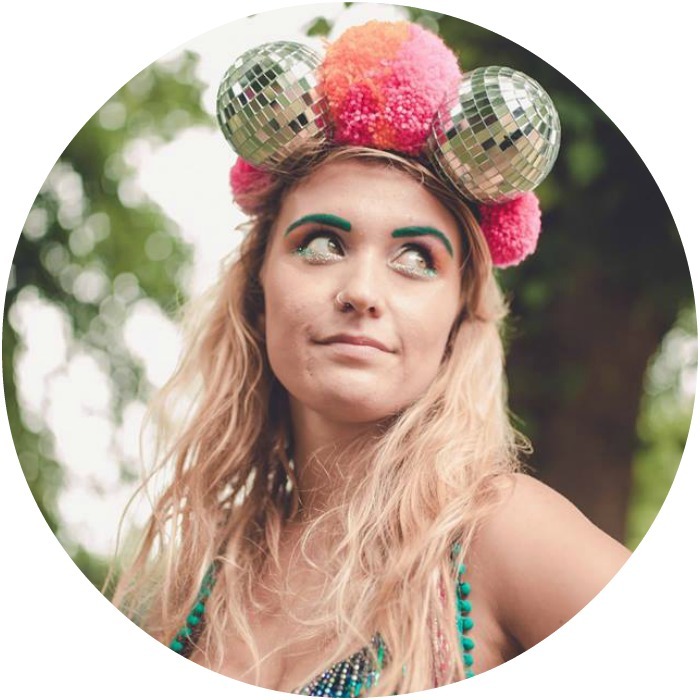 And so Festival Season 2018 commences…. as my two Indian festivals of 2017 (GOAT in January and Magnetic Fields in December) neatly bracketed the year does this mean there is no such thing as an actual festival season anymore!? Bristol crew inside the venue! What? 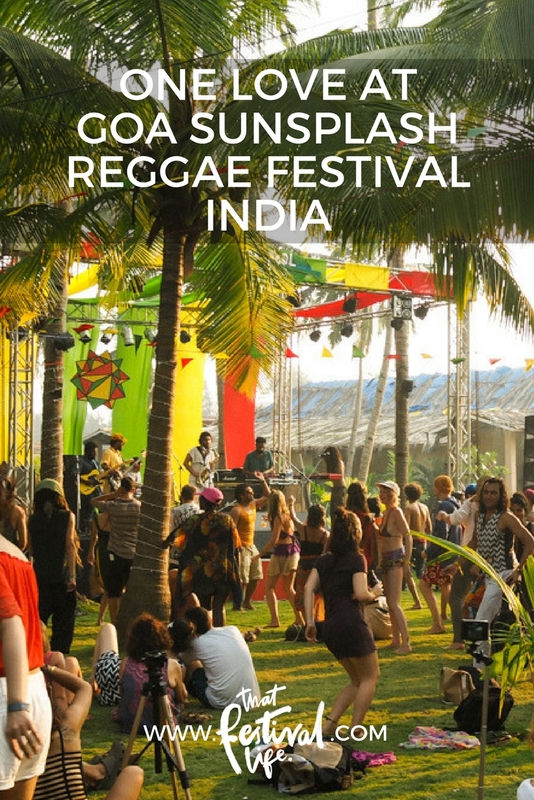 Now in its 3rd year, Goa Sunsplash is India’s biggest (and only?) 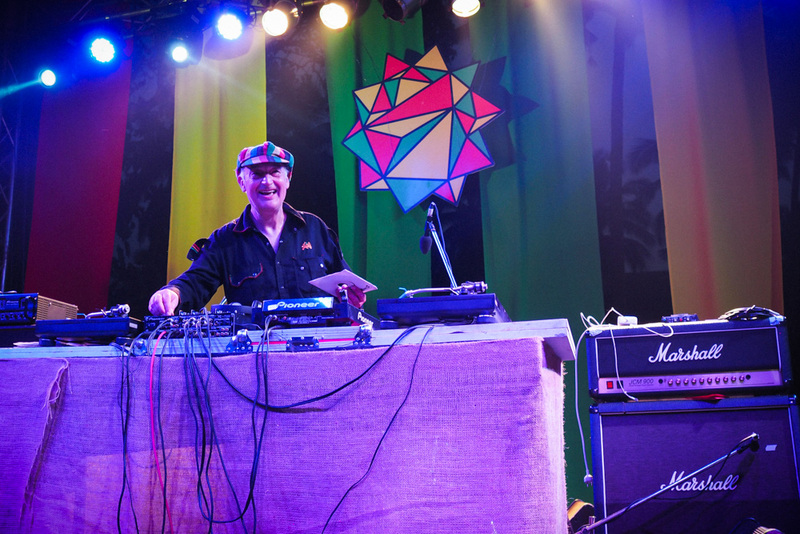 dedicated Reggae & sound system culture festival. It was started by the Reggae Rajahs (great name) Indias main sound system crew. Where? This year it was at a new location, Riva beach resort which is situated on the Arambol side of Mandrem. 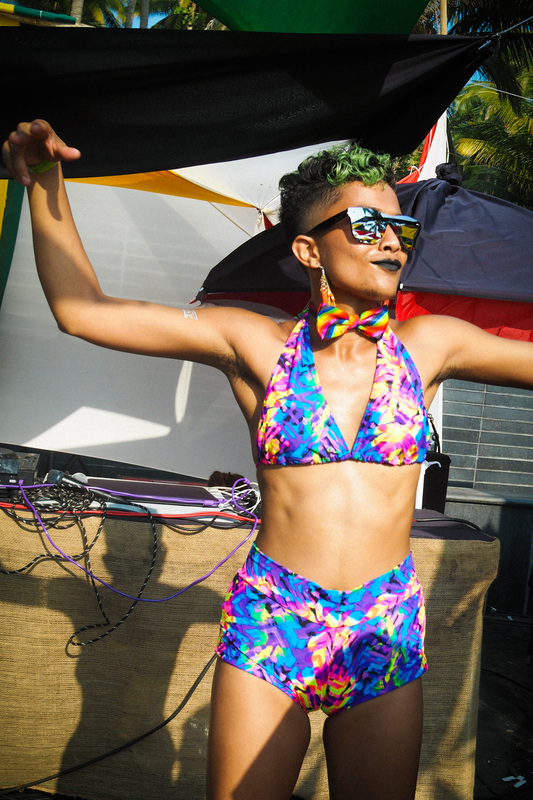 It’s a quite fancy resort right on the beach (similar to the one GOAT was in last year) and it hosts a weekly reggae pool party every Sunday anyway so I was unsure what they were gonna do to make it special… but the vibes were allliiiiive! When? It’s on a Saturday & Sunday and this year it was the second week of January but this could change next year – I’m not sure! Who? Such a lovely crowd made up of plenty of little kiddies running around (most of whom I was pleased to see had that ear defenders on! 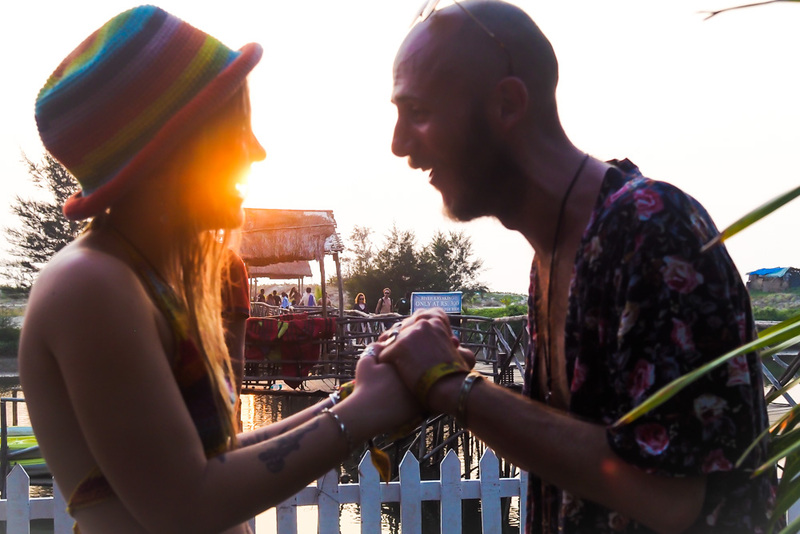 ), plenty of dreadlocks and all nationalities coming together for a musical mix of mainly reggae with a bit of the complimentary ska, dub and jungle thrown into the blend as well! How much? Pre bought tickets were 2000rs for the weekend or if bought on the door 2000rs for a day or 3000rs for the weekend. 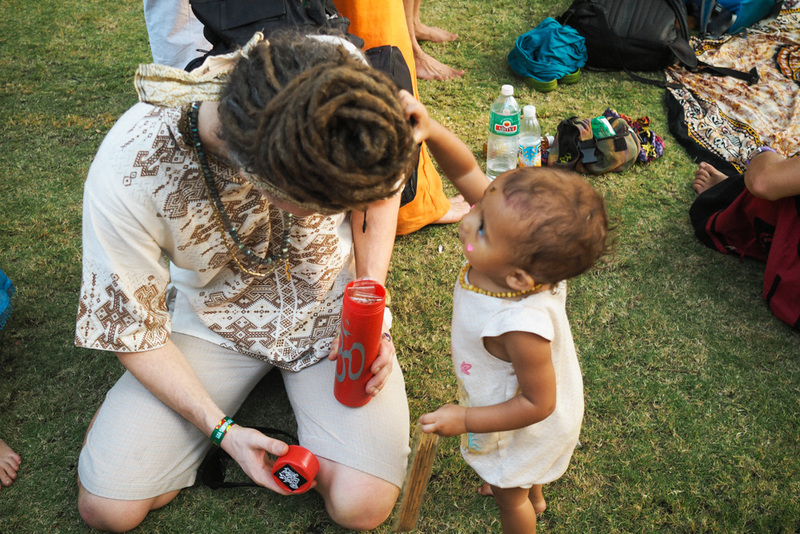 My gorgeous pal Lauren who you might recognise from my post about another Goa festival, GOAT, had a stall there selling her wares, there was face painting, my pal Jo selling his kombucha and just generally a real community feeling… as the lovely Craig who was hosting the main stage put it – a sense of “lots of tribes coming together” and a perfect ending to my short time as a part of the Goa season. Michael getting stuck in to the face paint. There is nothing better than a skank in the sun with ya mates apart from a skank in the sun with ya mates when you can also have a splash in the pool or the sea half way through. We went down to the beach for a dip on the Saturday and spent a lot of Sunday floating about in the pool having a mild boogie… Down by the bottom of the resort there were little chill out platforms jutting onto the water which were nice if you wanted to get away from the music for a little bit. More new Dulcie’s feathers silky garms – this is the new tie back crop flip reversed upside down! My babe Eleni straight off the plane! 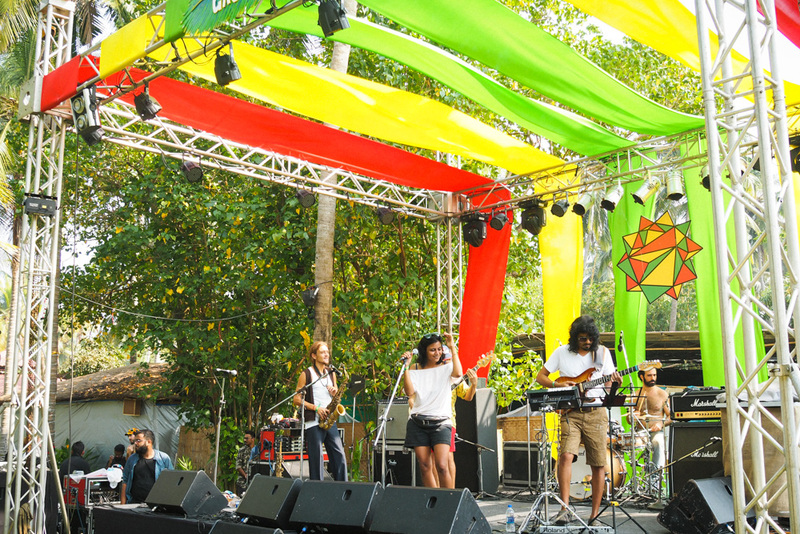 In North Goa there’s a thriving reggae scene (holla Thursday nights at Rock Waters & Sunday days at Riva!) 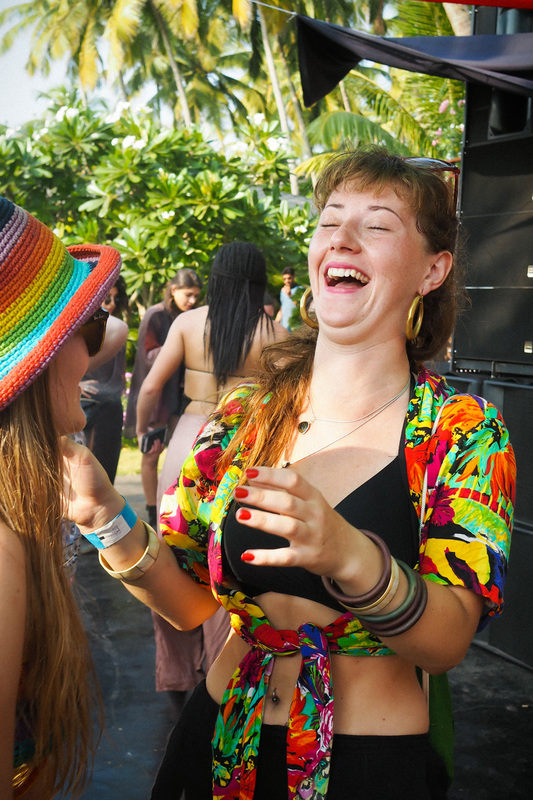 as well as plenty of techno parties, incredible live music from all over the world in Arambol (check out Twice in Nature) and newer sounds being pushed by the folk at Vaayu… and I’m sure this only scratches the surface! If you’re a music lover and have been put off Goa cause you think it’s all Goa trance then definitely reconsider. 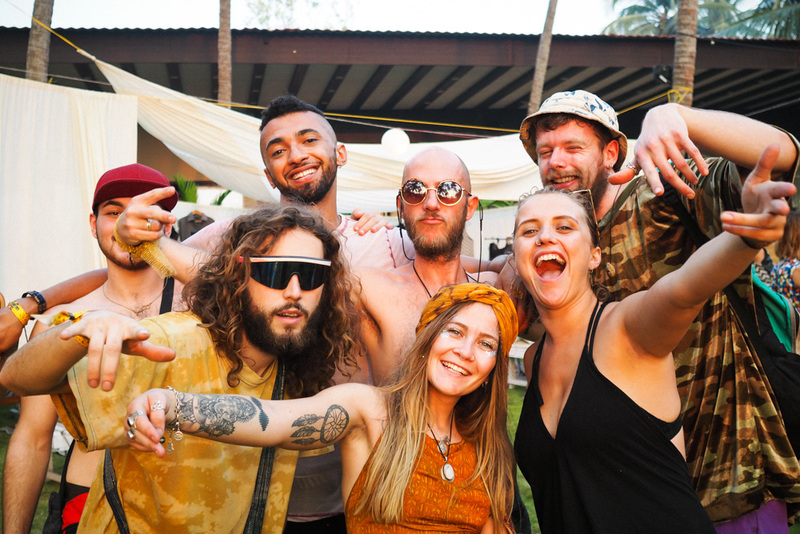 Goa Sunsplash was quite simply two days of pure bliss in the sunshine surrounded by the bestest people. 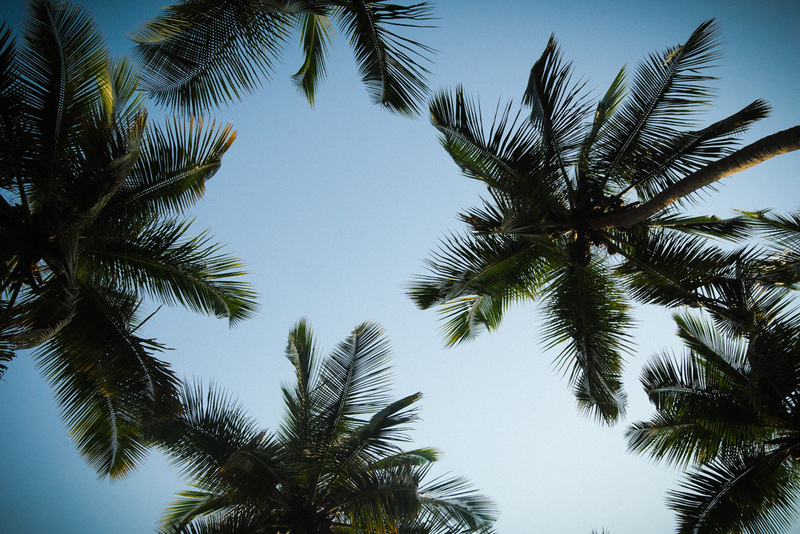 As a very wise person I met on the Sunday night told me… ‘Everything is better where the coconuts are’. 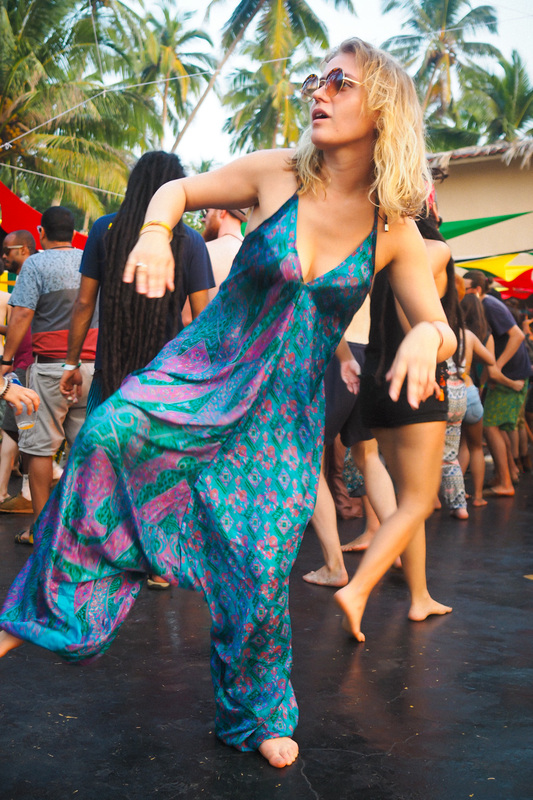 Silk jumpsuit from…. you guessed it Dulcie’s Feathers! 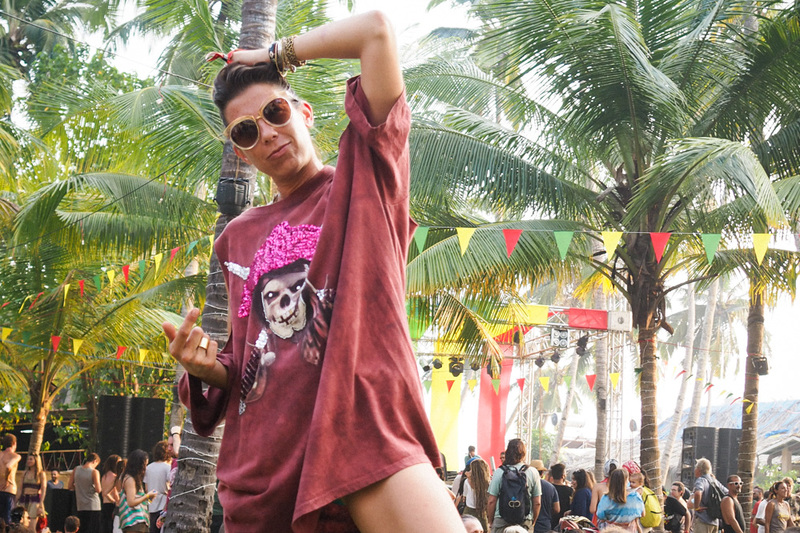 & yeah I know – there were a lot of outfit changes at Goa Sunsplash…don’t say you’re surprised! Getting in! If you want to save money then buy your ticket beforehand & not on the door – this year was the bargain price of 2000 before the festival (£25) and I believe it was only 1000 if you bought it even earlier! They’re sold at a lot of local venues, I got mine at The Garden of Dreams. Where to stay? If it’s in the same venue again I would recommend stay in Mandrem or Arambol where there are plenty of cheap accommodation options from guest houses to beach huts you should be able to get something decent from 400-800rs… I always recommend just turning up. A lot of places you can’t book online anyway and if you’re there in person you can often haggle the price. What to eat / drink? I didn’t eat at the festival but there were food stalls which were catered by the resort – pretty average & pretty pricey. I did have a bit of cake from a lovely little vegan cake stall though! The bars were well stocked and pretty reasonable, we were on the Rum Punch both days which was only 100rs a pop! Like Magnetic Fields you had to buy tokens in order to pay for things. Getting home… Be careful with the taxi drivers outside, we had a pretty savage altercation with one outside on the Saturday night – as much as I love Goa it can be a sketchy place sometimes, no one from the resort even came to help us when we were having our issue with the taxi driver (I’m talking him chasing three girls with a palm branch) so have your wits about you and stay in groups when you’re leaving anywhere etc and be wary when walking along the beach at night as it’s super dark. 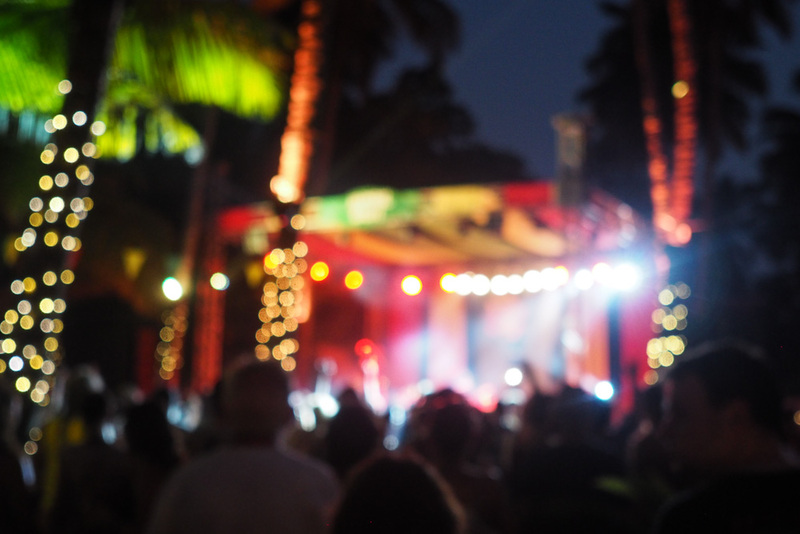 Read about more festivals around the world here… I’d love to know your recommendations! 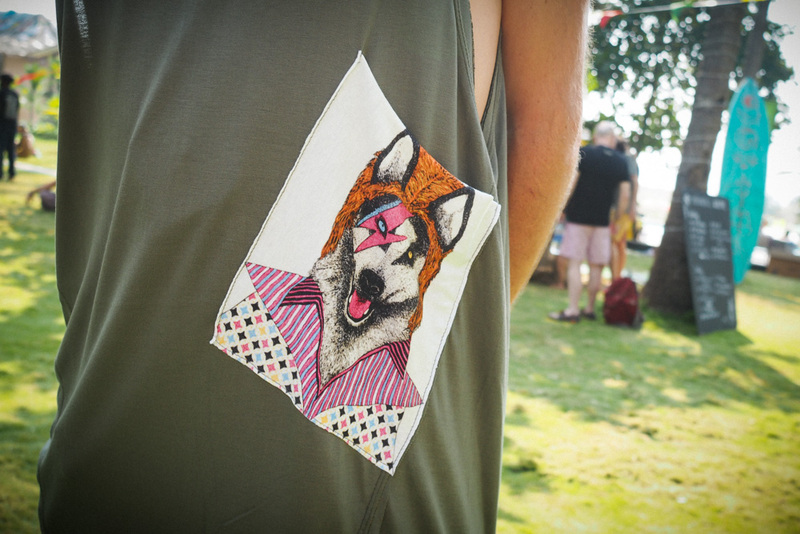 Which festivals are you planning to go to this year? Follow me on Instagram to keep up to date with my travels… only one week until back home and in the office, eek! Beautiful tips and ideas, thank you for sharing! Thank you for the article & the photos. 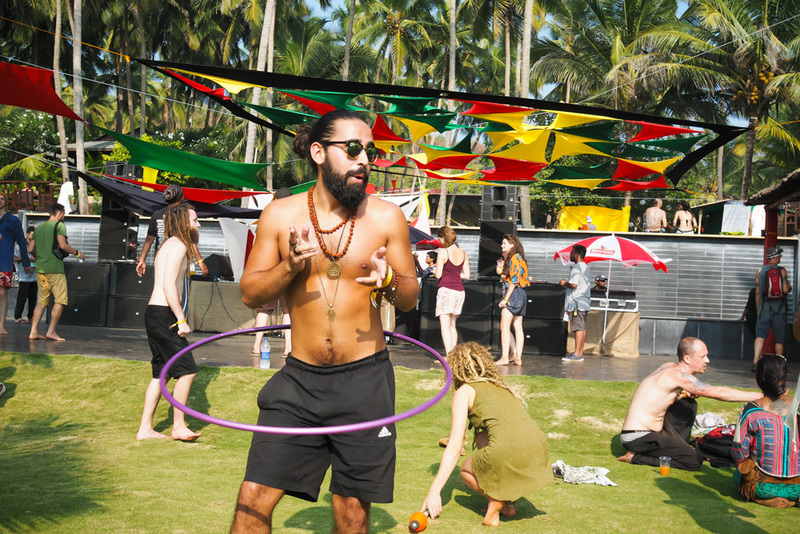 Goa looks and sounds amazing. I hope I can visit it someday. 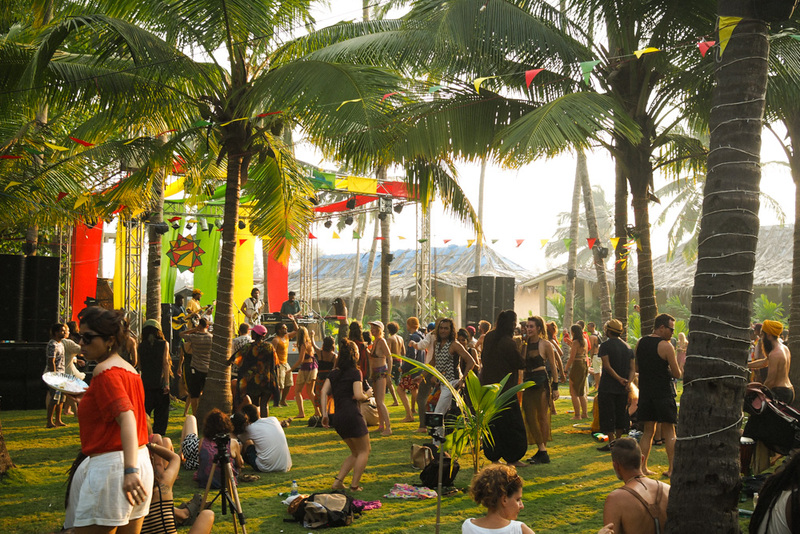 Wow… I am originally from GOA… The music scene there is awesome. HEARD so much abt Sunsplash…. Loving all the pictures and the silk jumpsuit. These look fantastic, so vibrant and colourful.